We just received the following from Daniel Horowitz of MyHeritage.com. Their conference in Oslo, Norway, is only a week away, and Daniel has announced that the genealogy and DNA track presentations will be live streamed. Please read the announcement below, and take advantage of this great learning opportunity! If you've listened to The Genealogy Guys Podcast Episode #349, you heard that George is joining the In-Depth Genealogist group of great regular writers in their Going In-Depth Magazine. His regular column is titled "Genealogy, By George!" George's first article has appeared in the current issue (October) and is titled "Maximizing Your Library & Archive Research Visit." To celebrate this new writing relationship, the In-Depth Genealogist is offering a $10 discount on our podcast listeners for new subscriptions to the magazine. Listen to Episode #351 and refer to the show notes at the website for the coupon code to take advantage of this offer. In addition, be sure subscribe to and read the In-Depth Genealogist Blog at http://theindepthgenealogist.com/blog/. The writers, including George, contribute fun and informative blog posts throughout the month that are certain to help you advance your genealogy research skills. The blog is free, and we hope that you'll take advantage of this special $10 discount and become an In-Depth Genealogist too! While both George and I enjoy our own collection of family photos, some of which are framed and displayed on the walls of our living room, we have many other photos that need a little more loving care to be better appreciated. But neither of us is an expert with photographic restoration or preservation. During the first half of the 19th Century in the United States, African Americans and Native Americans in some places began bonding together because of their shared enemy, the white man. Slaves in the southernmost states fled south to Florida rather than attempt a longer escape to the north, knowing that the Florida wilderness provided a better opportunity to avoid capture and return to their owners. Some African-Americans came to live with Native Americans in their villages and helped make a living there. 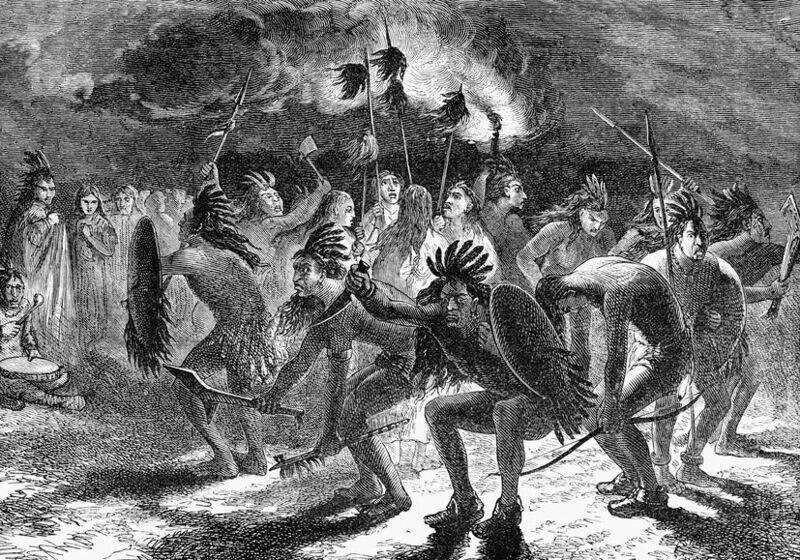 Some Native Americans even owned slaves, although the slaves were treated more as farming partners or sharecroppers. The two cultures blended as they worked together to farm the land, hunt game, raise livestock, weave fabrics and baskets, create pottery, share cooking responsibilities, raised children, and shared experiences with one another. In the course of these relationships, some African-Americans may have been returned to their former masters for bounty payments. 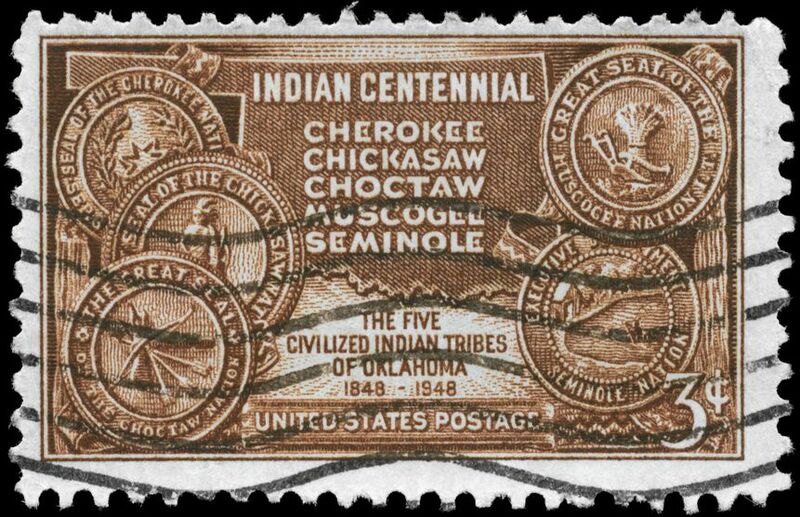 However, a sizeable number of them were forced to relocate with members of the Five Civilized Tribes during the Trail of Tears to what now is Oklahoma and other lands set aside for resettlement. By the start of the Civil War, more than 4,000 former slaves lived in Oklahoma. Some of them even joined and fought with the Union Army. Don't overlook checking records relating to Native Americans to locate your African American ancestors. Most genealogists would mistakenly assume that the prestigious genealogy collection of the Library of Congress in Washington, DC, contains only U.S. materials. In fact, the Library of Congress (LOC) has an impressive collection of Hispanic materials in its Hispanic Reading Room. The Room also has its own Web site, available in both English and Español. The site boasts histories, maps, and excellent online collections of Hispanic, Portuguese and Caribbean materials. The Hispanic Room is open to the public, but a visit to the website at http://www.loc.gov/rr/hispanic will prepare you for maximizing your research visit.